This single sling is the same design as the TROY tactical sling. Fully extended the length is 940mm, width is 38mm. 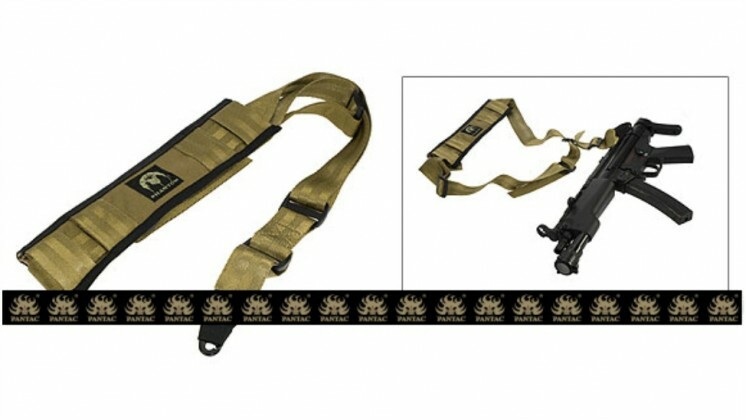 Fully adjustable and comes with a contoured pad to ensure the strap remains firmly in place. Made from the same material as used for car safety harnesses. All the clips comes from UTX. Shoulder Pad made of INVISTA CORDURA.